Hasn’t your online shop created a mobile commerce app yet? Bobile is here to help. 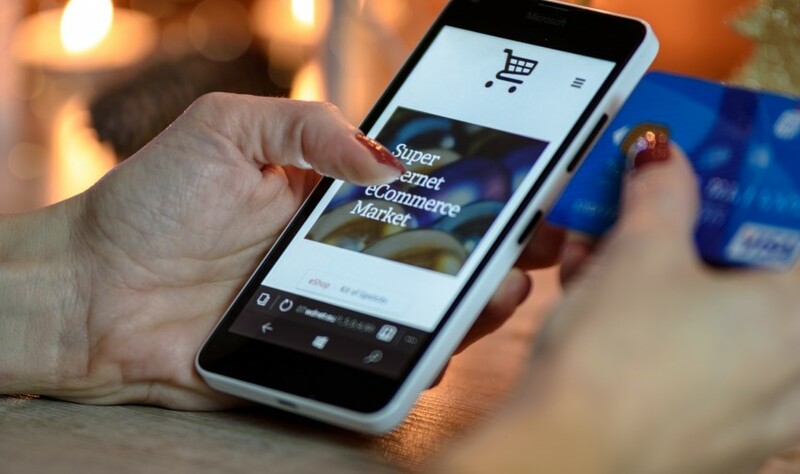 Bearing in mind the importance of growing e-commerce market, every business should keep abreast of the times and be involved in the e-commerce mobile app development. What benefits will your business get? Firstly, think how much time it takes for customers to order your products and for you to deliver them. And now let’s imagine that due to e-commerce mobile app, you can reduce that time. Would you take such opportunity? We’re sure, you would. So that, shortened processing time will attract more clients, which will allow you to get more profit. Secondly, with increasing range of customers, you may get more requests and questions about your goods. Of course, you still can use your website to answer them, but it’s clear that your clients don’t always have time to check their accounts on your online shop. Fortunately, a mobile application, which operates much faster and can be easily installed on both Android and IOS platforms, will provide you with the possibility to contact your customers and chat with them online immediately. It will definitely benefit your work. Moreover, our company as a professional e-commerce mobile app builder will create for you an application, which will stand out from others not only with beautiful design, but with simple interface. We understand that easy programs will persuade people to stay with your company and become regular customers. Bobile will help you make your goods and services closer to people. And last but not least, e-commerce mobile app will provide you with advantageous by promoting your business. Undoubtedly, it will be easier to update and maintain the work of the application rather than the website. Moreover, such process will require less costs. In addition, you will be able to keep your clients informed about all new products and services by sending constant notifications. To sum up, we shout mention that nowadays people always take phones or IPhones with them so the e-commerce app will facilitate not only your operation but the customers’ access. Remember that the comfort of your clients and meeting their needs are very important because they actually pay you for your services and, that is, create your revenue. Isn’t it the key point of the whole existence of your business? With our assistance in creating your E-commerce mobile app, you will engage more customers, so that you will earn more money. Also you can convert website to mobile app.